The European Satellite Navigation Competition is an excellent starting point for aspiring entrepreneurs. This is not just an empty slogan, as evidenced by the number of winners that have founded successful businesses based on their idea. Two such companies are currently in the ESA BIC program in Noordwijk: JOHAN Sports and Knowble. Both companies show that it is possible to think quite far out of the box when implementing space technology. JOHAN Sports tracks football and hockey players with EGNOS, outperforming both GPS positioning systems and video observation. Knowble similarly uses the location of individual users, but is developing a situation-based language learning system around it. Sports and language learning thus seamlessly interact with space. For Knowble founder Jozef Misik, the ESNC came just as he was starting his innovative company in language learning software. “Pedagogical research shows that it is better to learn languages in concrete situations,” he explains. Satellite positioning systems provide just the right information to offer language learners with situation-based vocabulary exercises and other assignments connected to their current environment. 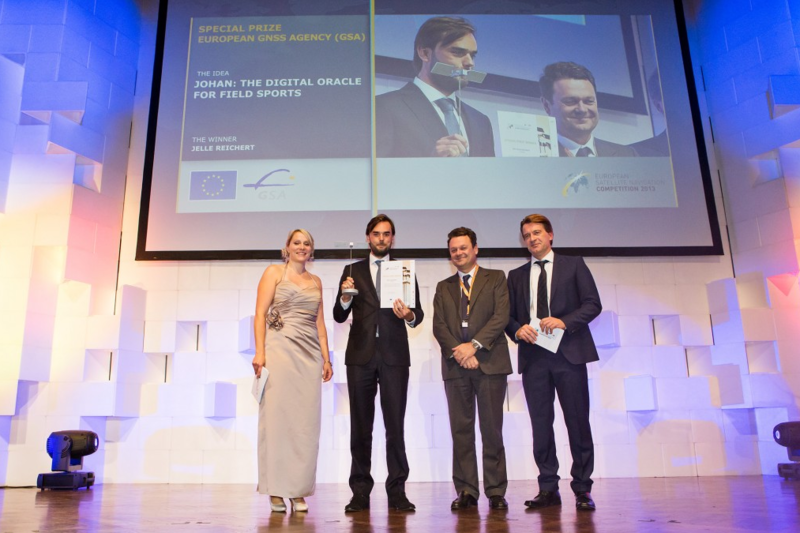 Jelle Reichert, the co-founder of JOHAN Sports, might not even have become an entrepreneur without the ESNC. While still in university, he came across a magazine article about the ESNC pinned to a board with the added note “only for real engineers”. He was quick to accept the challenge. Knowble only recently entered the incubation program and is still further developing its situational model, with the help of ESA. JOHAN Sports is a bit further down the incubation path. In 2016 the company raised over 100.000 euros in one day of crowdfunding, and last month it announced signing the Champions Soccer League USA as its largest international client.